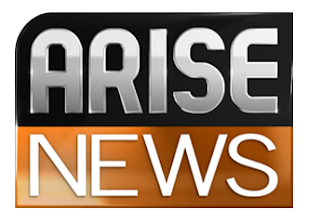 2016 has got off to a bad start for troubled news station Arise News, with the channel having suspended programmes until later this week. Arise News (Sky 519 and free-to-air satellite) has for the last few days been broadcasting a caption wishing viewers a prosperous new year, advising that its programmes are off-air until 7th January 2016, contradicting information on Sky's Electronic Programme Guide. In the past year, Arise News has been dogged with reports of failure to pay journalists, technicians and studio facility providers, with programming often suspended and replaced by repeats of news bulletins. It's backed by the controversial Nigerian publisher Nduka Obaigbena. The channel has a mixture of news and entertainment programming, broadcast from London and the USA. Walkouts by staff have resulted in spells of time where the channel has had to drop either London or US based programmes. Its website is currently stuck in September 2015, since when there have been no further updates. Arise News was pulled off Freeview channel 136 last year - it was rumoured but never publicly confirmed that it had not paid its carriage fees. In October, Ofcom told the broadcaster off for failing to pay its broadcast licence fee, putting Arise News on notice that would face a statutory sanction if it didn't pay up. The suspension of programmes will further undermine the fledgling news channel - by definition news channels need to be on-air and available all the time to report upon the latest developments, and importantly so that viewers know they can switch to that news channel when they hear of breaking news. Although a news channel may well be a 'must have' in every media magnate's portfolio of assets, such services do not come cheap, with strong international competition and the need to finance a dedicated multi-national news operation and to develop effective international distribution channels to reach the target audience. The only other news channel known to have outages is Russia's RT which has on occasion shut down overnight for periods of so-called "scheduled maintenance". And it has indeed gone live again for viewers with Sky or free-to-air satellite.